There are a number of great multi-day hikes around South East Queensland, but if you are looking for a weekend away it can be hard to find a great circuit you can do over just 2 days. Here are the best overnight hikes and circuits. I wanted to write about circuits because it can be nice to get away and camp out in the bush. You will find that many walks that can be done in a single day, but a circuit means no or little backtracking, which makes the walk much more interesting. All these campsites are in national parks, so you will need to book sites in advance through Queensland National Parks. Generally, this is about $7 per person per night. The general rule for bush campsites is that little or nothing is provided, though some include rainwater tanks, seating and even covered picnic tables. 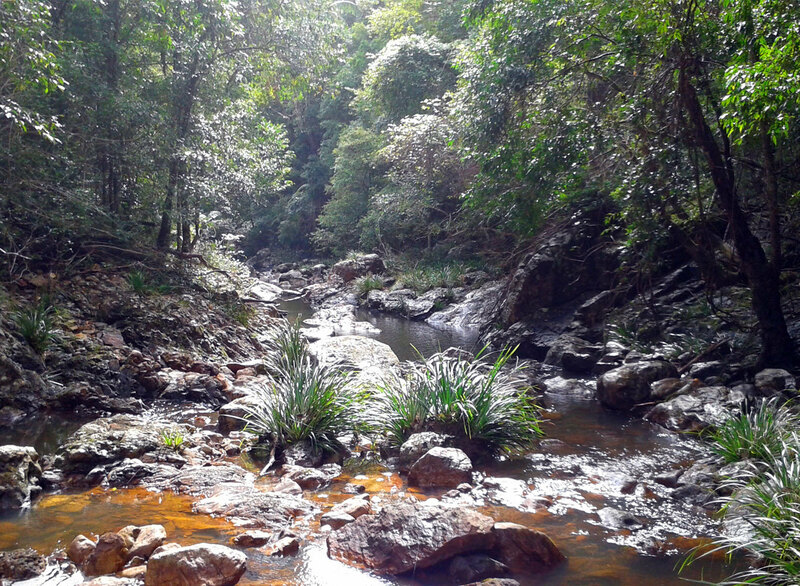 While part of the Sunshine Great Walk, Gheerulla Valley can be done as a single 21 km circuit in a day or a more relaxed stroll with camping. Even better, if you do this hike on a weekday you can take public transportation to the town of Mapleton and then easily walk from there to the start of the hike, making it one of the few public transportation accessible longer hikes in the area. 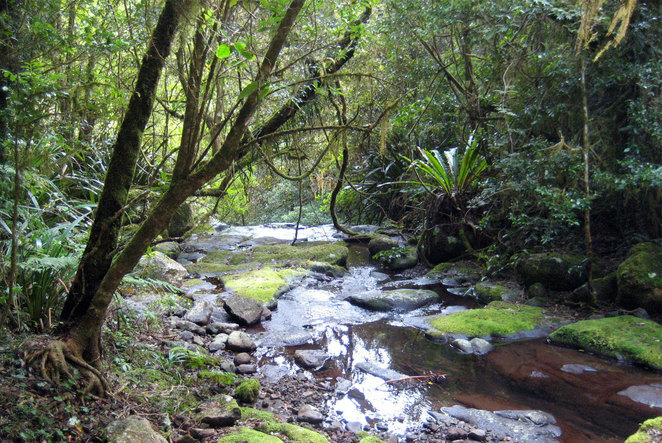 There are 3 campsites on the circuit which are the Ubajee Walkers Camp closer to Mapleton and just above Gheerulla Falls, the Thilba Thalba Walkers Camp down Delicia Road and up on the ridge line overlooking the valley, and the Gheerulla Camping Area is down in the valley near the creek. There are multiple entry points on this hike, some which make the hike longer and shorter. In fact, you can do a short walk in, camp overnight, then do the circuit the next day, even leaving your things in the car. My preferred option for an overnight hike is to start at Mapleton. As I already said, you can take public transport here on weekdays, but also you may feel more comfortable leaving your car in town than parked somewhere on the side of the road. This makes the walk a little longer, as you have to walk 4 kms from the town centre to the start of the circuit. Of course, for an overnight walk, that extra distance is perfect. 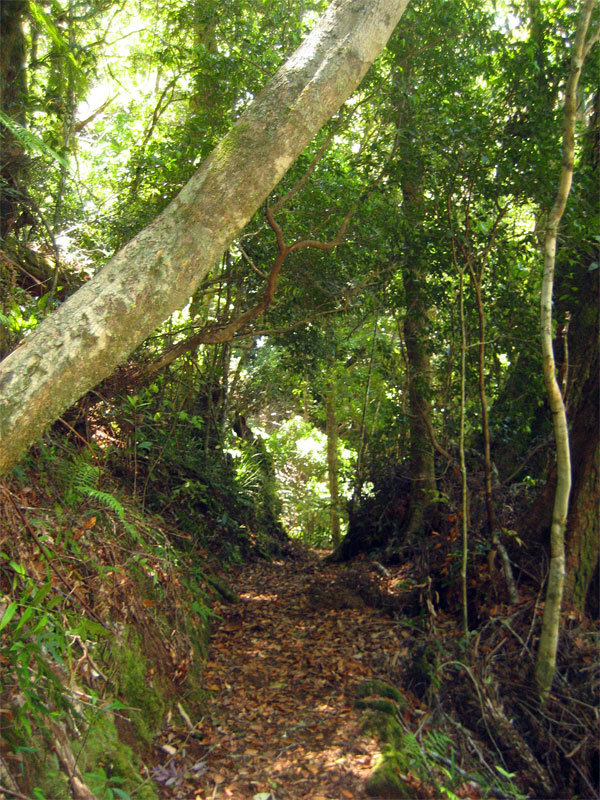 From here you can either walk to the Gheerulla Camping Area or the Thilba Thalba Walkers Camp. Distance wise it doesn't make much difference because it really depends on which direction you do the walk in. Thilba Thalba is better for the views and there is a rainwater tank there, though if the weather has been dry, I would recommend still carrying in plenty of water than relying on this tank. 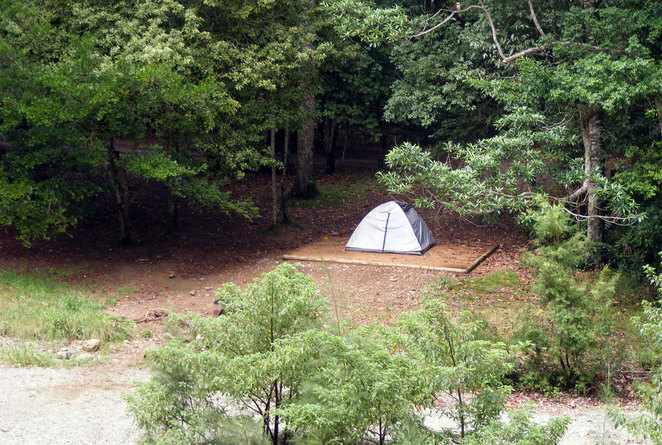 The Gheerulla Camping Area is near the creek, which can be a nice option as well. Overall this is a wonderful walk that seems to overlooked by many people. While most of the walk is not particularly steep you do have the challenge of walking up from the valley floor to the ridgeline: a track that is fairly steep. The Albert Creek Circuit is a beautiful 21 km circuit in the Green Mountains Section of Lamington National Park. Once again, this is a walk often done as a day hike but there is a camping option on this walk. The start of the hike is along the Border Track and the Albert Creek Circuit itself leaves and returns to the border track very close to where it started. The Echo Point Bush Camp Site is near the near one end of the circuit, which means you can either do most of the circuit first then camp, or camp and do the circuit the next day. Being a bush campsite you need to take everything in with you, including water and a camp stove. 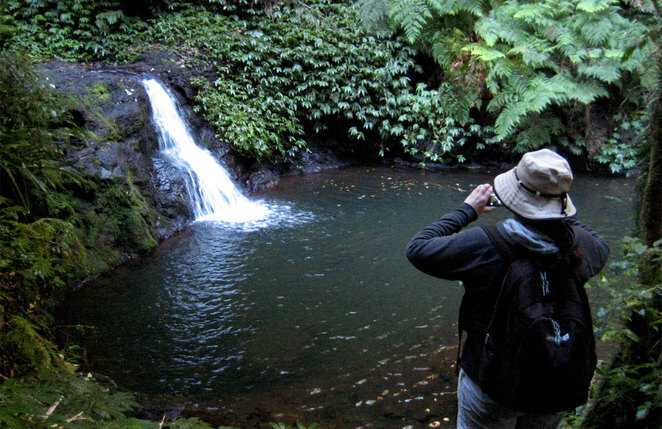 If you collect any water while hiking you will need to treat, filter or boil it before drinking. If you want a longer hike and avoid walking back down the border track that you walked up, you can add the Toolona Creek Circuit to this walk. These 2 hikes together will make 2 fairly full days of hiking and give you the option of a second campsite off the border track at Mt Bithongabel. This campsite off the border track lies about a 3rd of the way along the border track from O'Reilly's. A slower walker will take about 2 hours to walk to the campsite along the border track, but you can actually use it as the midway point in a longer circuit. The easiest circuit to get to this track is the Toolona Creek Cricuit, which includes the border track and is about 17 kms in total. If you want something longer or more interesting, you can also add the Albert Creek Circuit to your walk on one of the days, bringing the total distance to over 30 kms, which is a nice 2 day distance. However if want to something a bit further you can combine the west Canungra Creek Circuit, Box Forest Circuit, Toolona Creek Circuit and the Albert Creek Circuit into one massive hike. My feeling is that if you want to do all these tracks, you may be better off staying at O'Reilly's and do them as a couple of day hikes, but I also know hikers who love covering as many kilometres as possible on their hikes. 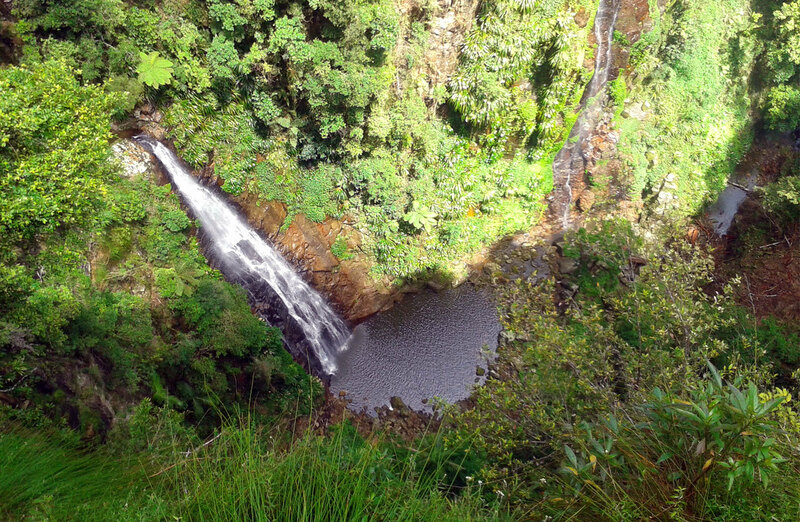 Alternative you can hike via Binna Burra, hiking out via the Coomera Cricuit, walking along the border track for a bit, camping tat Mount Bithongabel, then backtracking along the border track and finishing the walk with a long section of the Border Track that you haven't done before. The Border Track from O'Reilly's to Binna Burra and back is not exactly a circuit, but you can hike this walk in a way that makes it close to a circuit by deviating onto the Toolona Creek Track at O'Reilly's and the Coomera Circuit at Binna Burra, leaving only a section in the middle where have to walk there and back along the same path. The best thing about this walk is that it can be very lightweight. Yes, there is camping at both ends but you don't have to camp, you can book rooms and cabins at both Binna Burra and O'Reilly's, as well as take the glamping option at Binna Burra. So imagine walking 20 kms or more for a day and soaking in a spa bath before the next day. As for food, well, especially if you are doing this on the weekend, you can enjoy both food and music at the Lamington Tea House on Saturday nights. So maybe you are not quite getting away from it all, but you are having a different experience for a hike. Overall this walk is fairly easy. The border is flat and boring, but it means it is quick and easy to walk. The Coomera Circuit is not overly challenging while the Toolona Creek Circuit is a bit rocky which can make it harder on your legs if you are carrying a heavier pack, however ultimately both of those tracks are well worth walking. Scrub Road Bush Camp is 15 kms from Walkabout Creek Discovery Centre at Lake Enogrera, which makes this hike public transportation accessible. 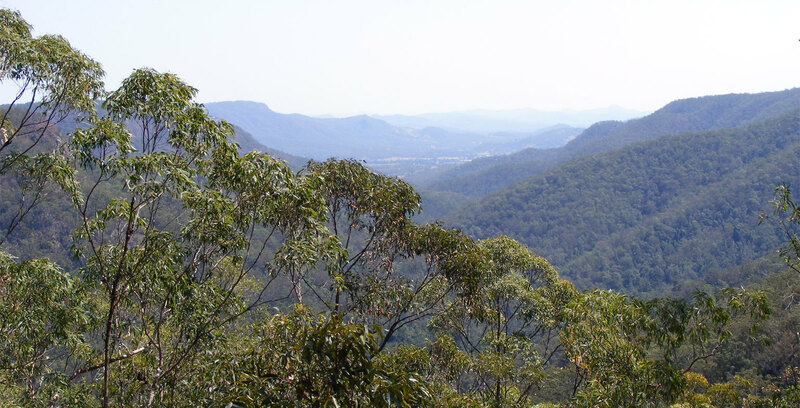 As a circuit hike, you might start at Lake Enoggera and walk via the lake paths, Centre Road and then South Boundary Road up to the campsite. Returning via a different track you can walk on the paths around Gold Creek and the south of Lake Enoggera. 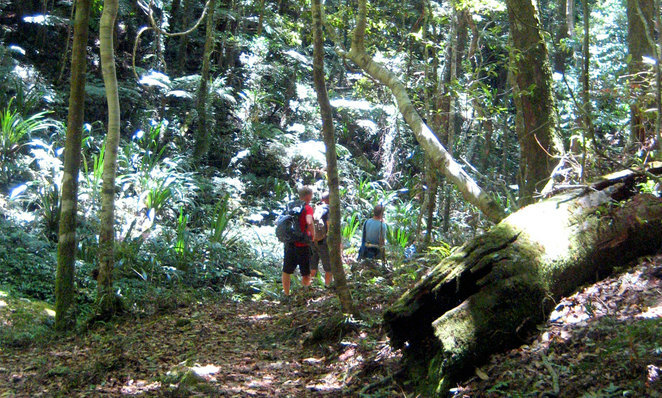 The Light Line Road Bush Camp is accessible as a cricuit from Mt Nebo or from Lake Manchester. From Mt Nebo it should be a doable walk while those hiking from Lake Manchester will want to put in the kilometres and are great for fitter hikers. 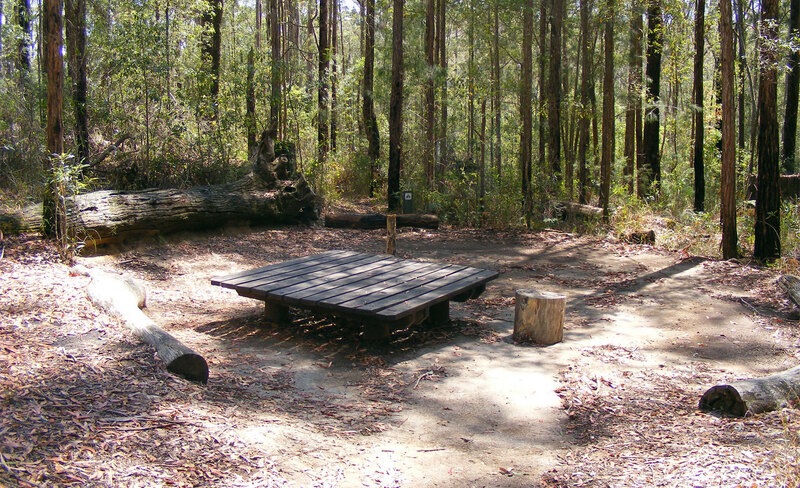 There is also the Dundas Bush Camp which is a little more remote and is accessible by a circuit from Lake Manchester. I haven't included any distance information as you can more or less come up with your own plan for the hike using different paths. I only have secondhand knowledge of the last hike I will include, but I think it is worth noting because it is an overnight circuit in the Binna Burra section of Lamington National Park. 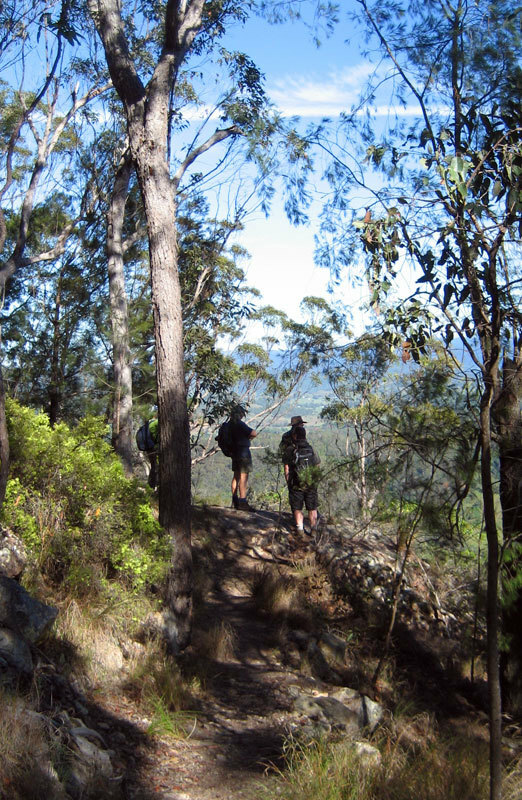 The Illinbah Circuit is a rough and ready 17 km track that attracts more serious bushwalkers. While it is possible to do this walk in a day, you also have the option of staying overnight at the Illinbah Bush Camp Site. People who have done this walk describe the path as a bit overgrown in sections and that there is not that much special about the walk. But if you want to get onto a circuit that few people do, then this is the recommended walk. Great article, Roy. 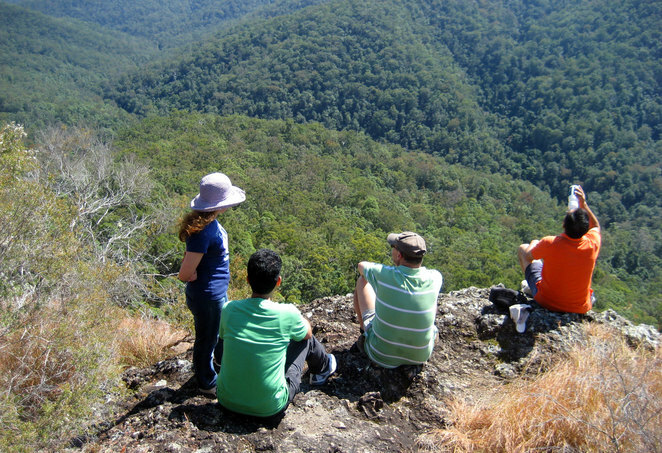 I've done the O'Reilly's to Binna Burra and return in one trip - we were in training for the 100km Oxfam. Great walk! I love the walks from O'Reilly's Roy.